Scary Halloween vector layout with the Grim Reaper. Face of death with big eyes and creepy smile. Hooded skull figure on dark rectangular background. 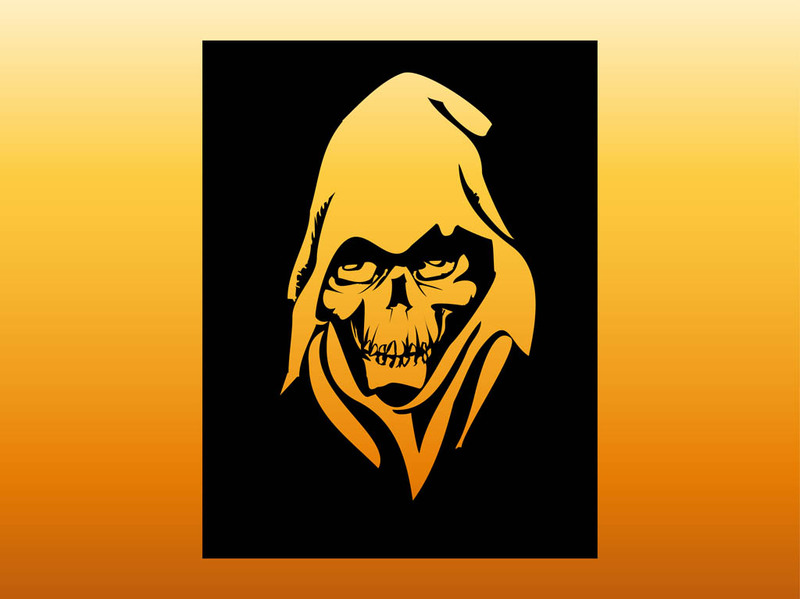 Death vector to create Halloween, scary, mythology, Grim Reaper, skeletons and superstitions designs. Free vector layout for T-shirt prints. Tags: Dead, Death, Halloween, Horror, Scary, Skeleton, Skull.